Purchase your ticket via the Eventbrite webpage. 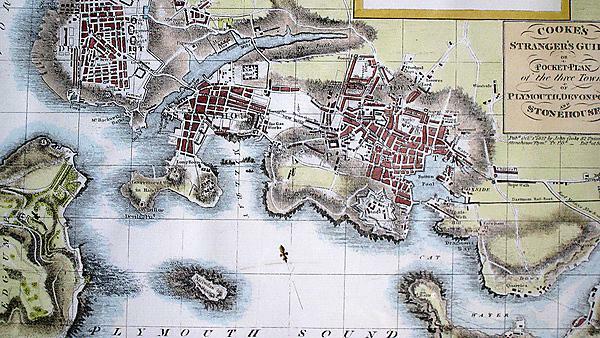 Local Studies Day celebrates the history of Plymouth and the surrounding area. It is organised this year by the Plymouth Octopus Project’s Community Heritage Network, in partnership with the University’s Arts Institute, Cornerstone Praxis, the Old Plymouth Society and Devon Family History Society. During the day, local groups attending can display exhibitions on local history highlighting their current projects. This display will be open to the public and we actively encourage people to drop in throughout the day to talk to groups about their work. Please email alan.butler@plymouth.ac.uk if you would like to bring a display. Please note: display spaces are limited. Publications may be offered for sale. All groups will be responsible for the sale of their own items. Tickets are available to purchase via the above link. Alternatively, booking forms can be obtained by emailing alan.butler@plymouth.ac.uk or calling 07746 410593.